See that fellow on the left in the Bright Red Shirt!!!! That is Art Healy, and the young lady is his wife Dorothy!! 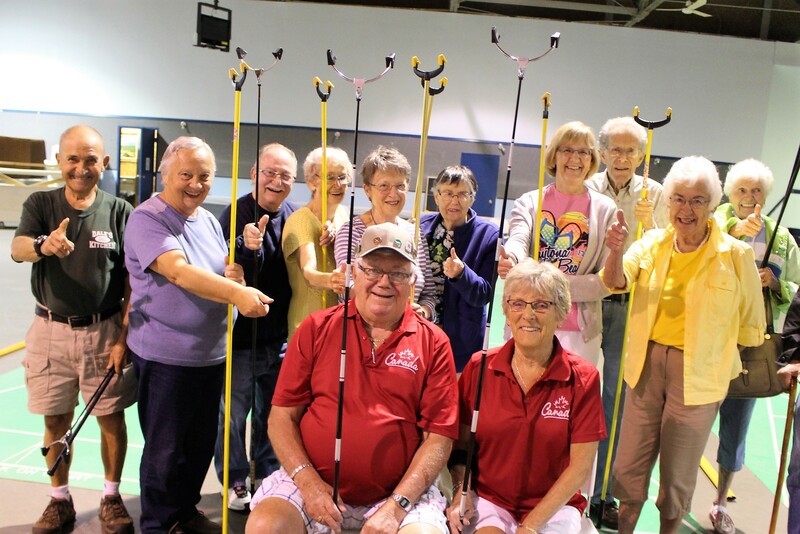 The Renfrew Shuffleboard Members were wishing them well as they were leaving for Brazil!! Why Do I Tell You?? Why Do I Share?? Here is why: Tomorrow morning at 08:00, 2018 09 19, Art will have Open Heart Surgery in Kingston Ontario. Please keep Art in your thoughts and prayers. Stan McCormack. 10:00 on 2018 09 18. Good luck Art. God watch over you. We wish you well Art. Praying for you Art, for a speedy recovery! We keep you in our thoughts and prayers Art.